According to recent reports, Kevin Spacey is being investigated by UK police over an alleged assault. On October 31, a man made a complaint about the alleged incident in the London borough of Lambeth, The Sun reports. London police confirmed that they are investigating an alleged assault on a man from 2008. They would not confirm the allegation was made against Kevin Spacey. On November 2, Kevin Spacey said that he is seeking treatment after facing allegations of misconduct from a string of men. 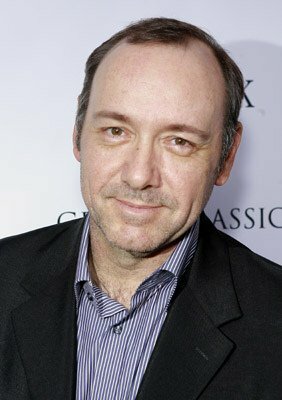 The Sun reported that a British actor claimed he woke up to find Kevin Spacey performing an act on him in 2008. A police spokesman said it had no record of any arrests having been made in connection with the investigation and police declined to comment on The Sun‘s report, which says the complainant had been interviewed by police. It comes after a number of allegations, including CNN reporting that Kevin Spacey made the set of Netflix’s House of Cards into a “toxic” work environment through a pattern of harassment. The CNN report said allegations were made by eight people who currently work on the show, or worked on it in the past, with one former employee alleging Kevin Spacey assaulted him. House of Cards production has been suspended on October 31 following allegations by Star Trek actor Anthony Rapp, who claimed Kevin Spacey tried to “seduce” him when he was 14. Kevin Spacey said he was “beyond horrified” to hear of the incident, which he does not remember. Meanwhile, director Tony Montana also claimed he was groped by Kevin Spacey in a Los Angeles bar in 2003. Tony Montana said he was left with PTSD for six months after the incident. Incidents regarding the Oscar-winning actor are also alleged to have taken place in the UK while he was the artistic director at the Old Vic in London between 2004 and 2015. Mexican actor Roberto Cavazos, who acted in several plays at the theater, claimed Kevin Spacey “routinely preyed” on young male actors.